The Battle of Ai was a victory that began in defeat; the taking of the Promised land was put in jeopardy because of Achan’s sin in disobeying God. 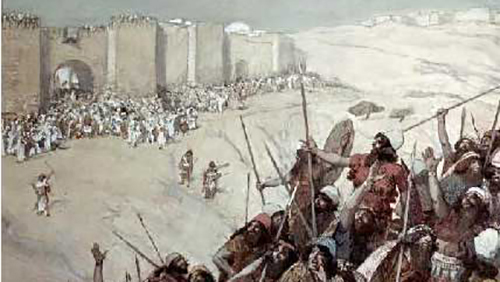 Following the Battle of Jericho, Joshua attacked the Ai fortress. He misjudged its defences and its defenders, resulting in a defeat, at first. Joshua did not rest and launched an immediate second attack which was unexpected and caught the enemy off guard. The Canaanites may have been under the protection of Egypt at the time, but the Pharaohs rarely responded to their call for help. The Egyptians had no interest in any battles, provided the conflicts took place inland, away from coastal areas. Their primary concern was to ensure to keep their routes into Syria open. The Bible speaks of another military alliance closer to home: the Canaanites with the Gibeonites. The Gibeonites were a tribal confederation, reasonably new to the area, with a problematic historical background. Although Scripture mentions this union taking place after the Battle of Ai, some Bible-friendly historians suggest it happened before the battle as a prerequisite for it. 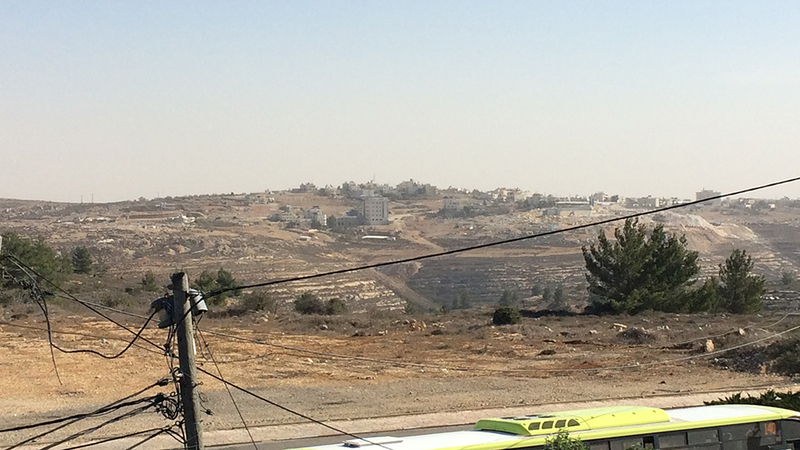 The Canaanites used the Ai fortress as a vantage point from where they observed the movements of the Army of God. 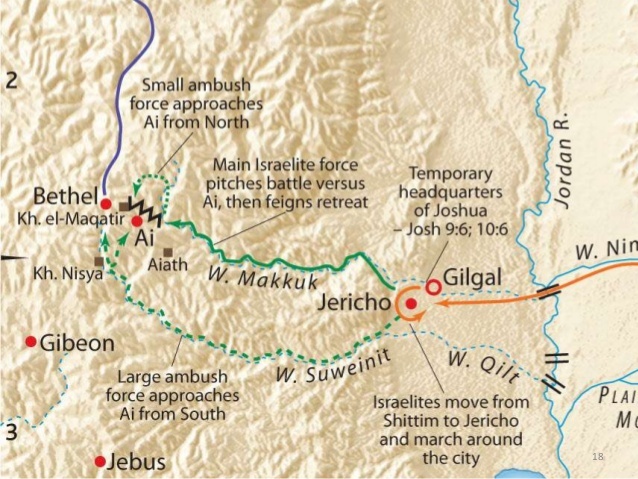 It also lay dangerously between two Israelite positions: the recently conquered Jericho and the new ally town of Gibeon. 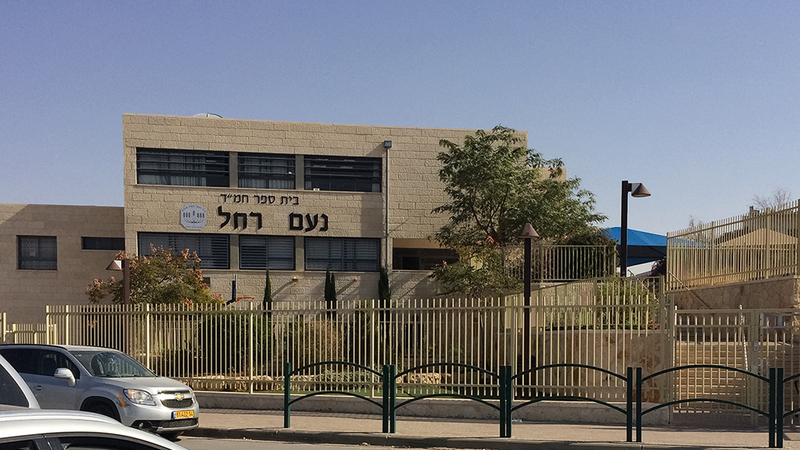 It may have been the Canaanite occupants of Bethel that reinforced Ai as an outpost for the region’s defence. The Ai fortress itself would hold maybe 240 defenders. The Hebrew people had become a reasonable force, comparable to light infantry over the years they spend in the wilderness, but they lacked the technological advances. Joshua knew that a pitched battle out in the open plain against Canaanite armies with colossal chariot contingents would end in defeat. Hence a fight in the mountains would significantly reduce the edge that superior numbers brought the enemy. With less population than the plains, the higher altitudes would also allow the Hebrews to entrench and colonize. Mussolini invaded Albania and Greece in 1940, counting on his army’s superiority in land and air forces. He clearly underestimated the Greek soldiers who had an advantage by fighting in the restricted space of their mountain passes. It ended in a humiliating defeat for Italy, forcing their German ally to come to their rescue when they invaded Greece in April 1941. 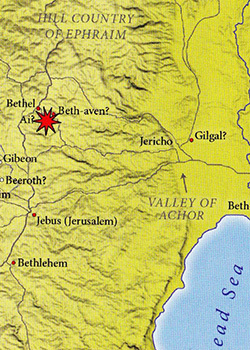 An attack on Bethel was considered at first instead because this location was thought to control the ascend to the Judean watershed. Scouts dissuaded Joshua on this target, which was the correct decision because it was Ai that proved to control the access to this drainage. Ai’s inhabitants had fortified it about one thousand years before this time. The current local name “Ha-Ai” (“The Ruin”) suggests that these walls may have already been in abandonment at that time. 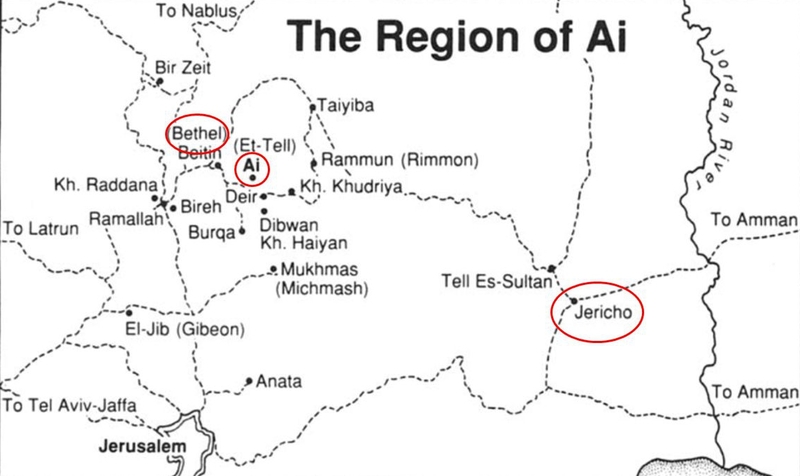 Nevertheless, after the Battle of Jericho, the people of Bethel undoubtedly spread the word to their neighbours at the Ai fortress, preparing them for an Israelite attack. 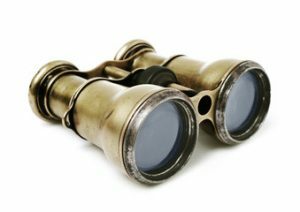 Joshua was aware that an invading force advancing into enemy territory is under the natural strain of war that weakens it. This military reality is why he decided on the economical use of soldiers for this attack instead of sending a large force. It has its merit, for rarely does any commander send an overwhelming force into battle, even when he has the apparent advantage. The rules of war dictate particular caution, but this is where Joshua made a mistake common to many commanders. He underestimated the enemy and overestimated his forces for the attack due to his recent past success, assuming 3000 troops were more than enough. The Hebrews attacked and were defeated humiliatingly. 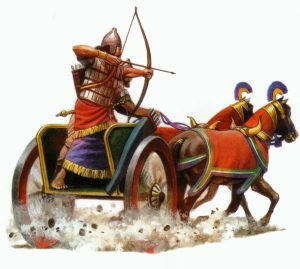 The Aites chased the Israelites back down and killed 36 men. 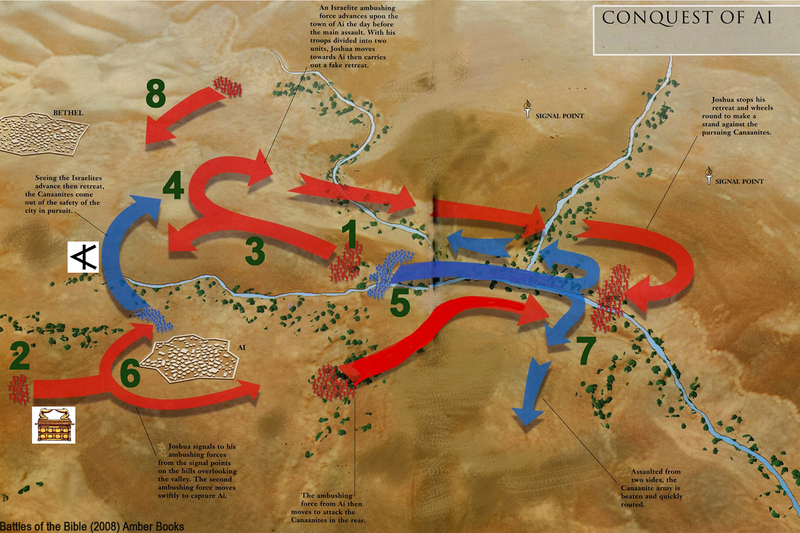 The forces were mostly disproportionate – Joshua enjoyed an approximate 150 to 1 superiority. 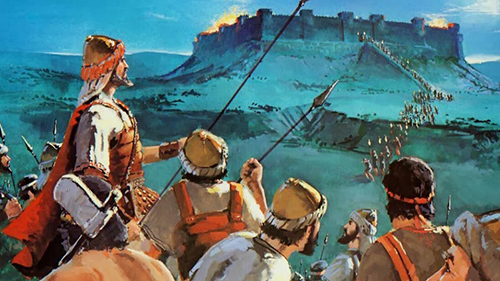 We must remember however that the Hebrews were tired after the steep march while the Canaanites in the Ai fortress were well rested and on the defensive. 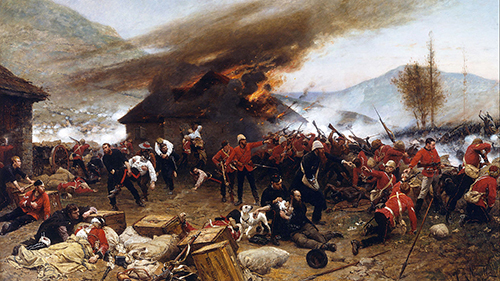 In January 1879, at Rorke’s Drift, South Africa, 151 British soldiers held a fort against an attack of over 3,000 Zulu warriors. Despite the ferocious battle the British stood their ground and the natives retreated. The small number of casualties was no doubt due to Joshua’s keen ability for quick decision and flexibility on the battlefield. He was expecting a quick victory as in so many previous towns he had conquered. As soon as he saw that his troops had lost the initiative, he must have sounded the retreat, not letting his pride get in the way and thus avoiding a greater disaster. Nevertheless, although this was not a severe reversal, it tactically broke Israel’s status of invincibility in the region. It was perhaps this succession of victories that got Joshua too reliant on of victory. He cried out to God in despair, questioning the people’s fate now that they had fallen short in battle. Let us remember that until this point Israel had enjoyed a northward successful blitz from the wilderness of Moab all the way to Syria. God rebuked Joshua and quickened him to take courage and reminded him that the reason for defeat was that some of his men had unlawfully helped themselves to recent past spoils. Joshua called up the clans individually and corrected this wrong; the people returned the loot. When Joshua restored confidence, he drafted a new, more sophisticated, attack plan. As Joshua had been deceived and beaten, he now planned to outwit and defeat his enemy. He deployed ten times the numbers of troops from the previous attack. The main Israelite force of 25,000 advanced to a point north of Ai, well within sight of the city with a valley between them and the city. Another detachment had been deployed to block any assistance sent from Bethel to help Ai. In between both attacks, God revealed to Joshua the reason for the first failure. Someone had kept plunder from the fall of Jericho which should have been set aside for God alone. This theft was a grave affront towards the leadership and sin towards God. 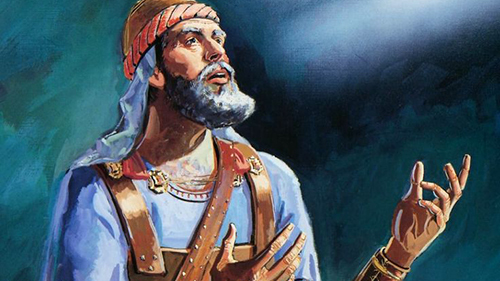 Joshua was moved to investigate and narrowed down to Achan, a member of the Zerahite clan of the tribe of Judah. 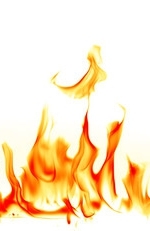 Achan repented, but the sentence had to be carried out: the people executed him and his family, and all his possessions burned at the Valley of Achor. The fate of that region’s Canaanites themselves was horrific. They were annihilated and their king hanged. The plunder of Jericho was holy unto God just as a tithe. For the following cities, starting with Ai, God allowed the people to plunder as much as they wanted. 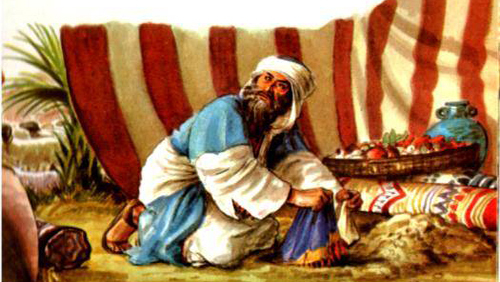 On Mount Ebal, Joshua built an altar and sacrificed offerings there. He had half of the people stand with their backs to Mount Ebal and the other half to Mount Gerizim and read to them the specifics on the curse and the blessing, just as God had done before. Assumed that all was lost in the initial phase of the battle. In fact, it hadn’t even started. Associated this defeat with God. He didn’t exactly blame the Father for the setback, but he did lose hope and assumed that if God had, apparently, abandoned them in the fight, He might forsake them in the future campaign for the occupation of the land. We can understand Joshua’s frustration. So many times he had seen God at work and hand victory to His people. All the way from Egypt. Sometimes the people had been in disobedience, but God had still not forsaken them. His mercy ended up coming through. So what happened here? Why now, after finally obeying God in unity did success over the enemy seems to elude them? (b) the nature of God that he already knew better than most. Anyone can lose their nerve. Joshua needed to up his measure of boldness and a little patience. We should not give up just because the results are not apparent at once. We pray, we declare, we thank God, and then we hold on and wait in faith. Faith that God has the con and knows the result. Isaiah 46:9-11  Remember the former things of old: for I am God, and there is none else; I am God, and there is none like me,  Declaring the end from the beginning, and from ancient times the things that are not yet done, saying, My counsel shall stand, and I will do all my pleasure:  Calling a ravenous bird from the east, the man that executeth my counsel from a far country: yea, I have spoken it , I will also bring it to pass; I have purposed it , I will also do it. 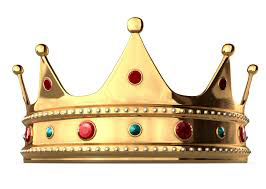 On top of it all, God revealed the reason for this failure: the people’s disobedience, through Achan’s sin. They took a little plunder destined for destruction. It may have seemed small, but the whole assembly suffered because of it. By being outnumbered and out-weaponed Israel had always been “naked” like Adam. Nevertheless, they were unafraid, bold and caused their enemies to tremble. When sin entered into the equation, their nakedness left them exposed just as Adam’s left him embarrassed. They lost God’s protection because of their unholiness, and it was their turn to tremble because of the enemy. God was only able to deliver the victory he had promised all along when Achan repented. When he came clean before his commander, Joshua, God stepped back in to carry the day. The fact that God also allowed the people to take plunder was an indication that they had not disobeyed Him as Achan had. When Achan took spoils that were not his he effectively “ate his seed”, “ate his tithe”. 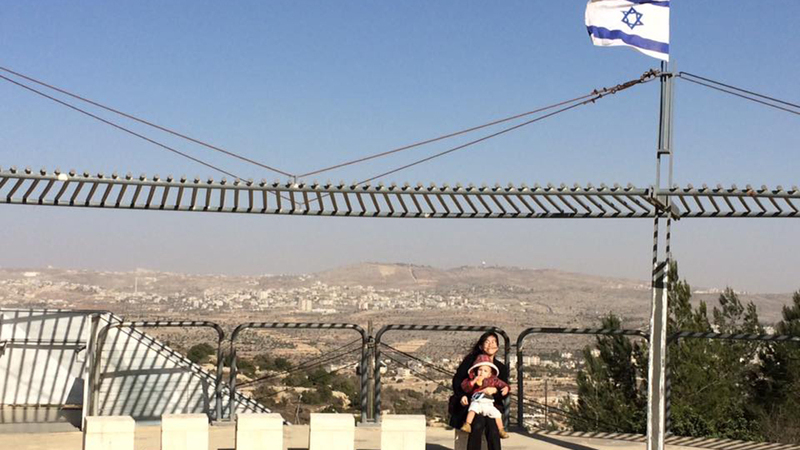 Israel lost the next battle because their “war chest”, under God’s hand, had been compromised. It brought a curse to himself, his family and his nation. The first thing Achan had done wrong was not having been there when Joshua spoke to the people about God’s instructions. Achan was not in unity, and this disabled him from being prepared to face temptation. It is also interesting that the Babylonian garment he stole had demonic symbols attached to it. 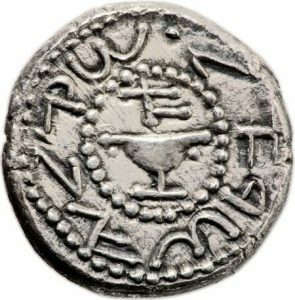 Achan not only became connected to wealth but unholy objects (the appearance of evil). There are local churches which have a robust and well-grounded pastor who God has anointed with a mantle for a specific assignment. However, the congregation sometimes holds them back. A pastor cannot move further along than his flock; this is why rebuking (in love) is vital for a spiritually healthy church. Joshua had the people, particularly Achan, first confess and then correct their wrong. He did this in an ever-loving way by bringing Achan to the remembrance of God’s gentle paternal nature as opposed to the one people in fear sometimes have a punishing dictator. God is not like that. He wants us to do right, to be right so that He doesn’t have to spend any time away from our company. For the invasion of Canaan to succeed, there was no room for such rebellious behaviour. Disobedience caused Achan’s execution. Joshua could not afford to have sin contaminate his flock as had happened so often before since crossing the Red Sea earlier. 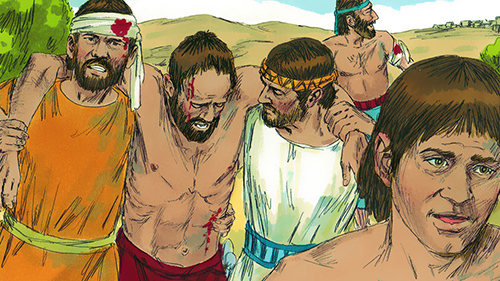 While reading this episode I had assumed God would spare Achan because of his repentance. When I read of his summary execution, I became very emotional. I thought Achan would be saved and asked God straight out: “why did he have to die”? God told me very clearly: “What you feel is the same thing I felt for Achan. I didn’t want this for him.” The good news is that Achan had repented and he is probably in heaven now. God is merciful, but in the natural world, there are wars, movements, logistics, occupations, and rebellions. The people had to protect their hearts from all vestige of sin he could not contaminate the land. In Heaven all is possible, but on earth, we function, to an extent, according to natural rules. 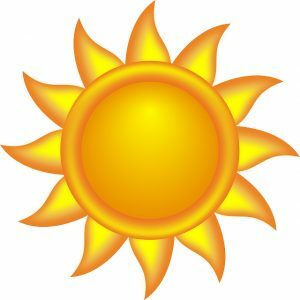 God wishes to bless us in His time and in His way. When he tells us to abstain from something it is for our good. Restraint is one of the principles of fasting. This self-imposed abstinence makes our spirits more sensitive, and it is through this that we receive the leading of the Holy Spirit. After the first defeat, Joshua and leaders laid on their faces before God until evening. Fasting does not change God; it changes us. 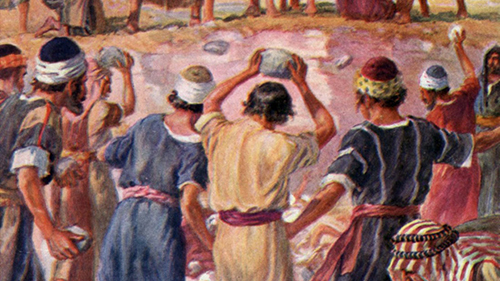 In this case, the Hebrews grew ready to receive God’s message. After the brilliant battle was won Joshua built an altar as directed by God’s instructions and sacrificed on it (Joshua 8;30-31). He started this invasion campaign with the discipline of following God’s traditions before the Battle of Jericho and ended it the same way, following directions, after the Battle of Ai. Ai is mentioned in Genesis 13:1-7 as a place where Abraham pitched his tent before parting ways with Lot. Scripture usually mentions the name of a notable commander. 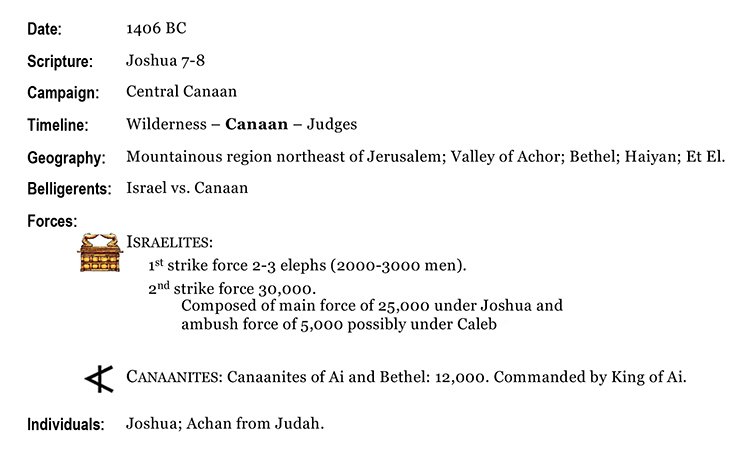 We do not know for sure in this case, but because Joshua had the main force, we can speculate on Caleb being the second commander on the field, mainly as he has a more important command later in the Canaan invasion campaign. An attack destined to disrupt and disorganize enemy formations on the advance. 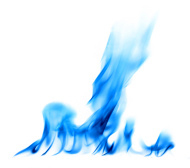 I was fascinated in learning God’s battle instructions for the Israelite. I wanted to see the layout, go deep and then I came upon your page. God answered. Your study is deep. The Holy Spirit definitely revealed the meaning behind this battle! God’s blessings! Thank you Liliya. I’m so glad this was an actual answer to your prayers. 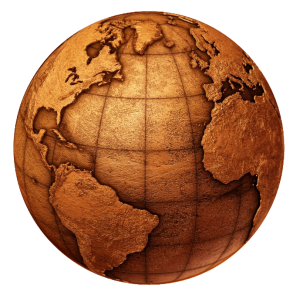 Stay with us and we shall reach Armageddon by 2030!